English enables students to successfully participate in an increasingly complex world. In English, students focus on the ways people communicate. They read, view and reflect on a variety of texts including literary and digital texts, and learn to create texts that are imaginative, interpretive, critical and powerful. The Mathematics faculty at Randwick Girls' High School is an effective and dynamic team who nurture the intellectual, mathematical development and personal wellbeing of all our students. Science is integral to our rapidly changing world. At RGHS we foster our student’s sense of curiosity about the natural and made world and emphasise the importance of scientific evidence in making informed decisions in their lives. We encourage students to seek answers to interesting questions, exhibit honesty and fairness and develop a positive self-concept as learners. PDHPE develops students' capacity to enhance personal health and well-being. It promotes their enjoyment of and commitment to an active lifestyle and helps them to achieve confidence and competence in a wide range of activities. Learning English is essential for success at school and for further education, training and employment. The English as an Additional Language or Dialect (EAL/D) program supports students across the curriculum so they can fully participate in all aspects of schooling and achieve academic success. This program is delivered by specialist teachers in a variety of settings. 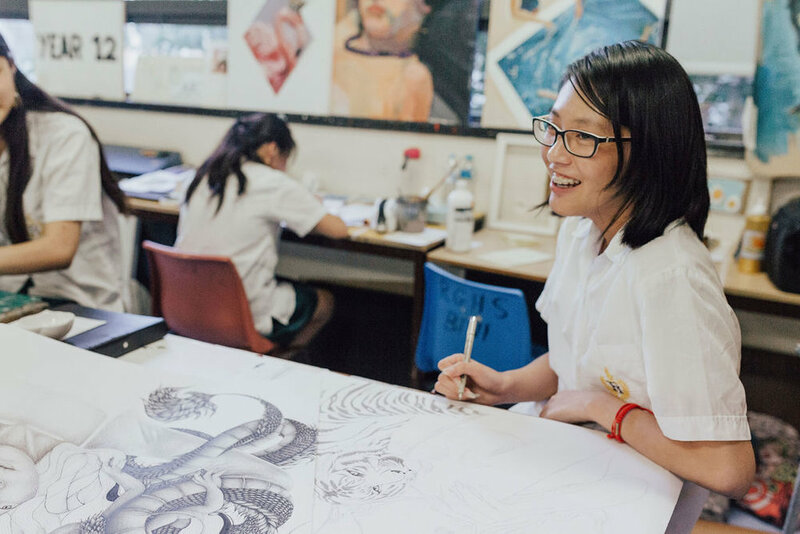 Creative Arts provides students with opportunities to build their knowledge and contemporary understanding of Visual Arts, Photography and Music. Careers provides students with an opportunity to develop knowledge and a contemporary understanding of the world of work, the diverse sectors within the community, and the roles of education, employment and training systems. Social Sciences offer knowledge, explanations and analysis of the activities of people within both their human and natural environments. The subjects delivered at Randwick Girls' High School incorporate a large section of the Humanities umbrella, embracing the specific subject areas of Geography, Commerce, Economics, Business Studies and Legal Studies. Technological & Applied Studies (TAS) is about becoming independent, connecting with others and taking actions towards preferred futures that support individual and family wellbeing. Applied Technology education promotes students' thinking, knowing, investigating, creating, communicating, participating and reflection skills. The study of dance as an artform in education is based on the study of three interrelated components: Performance, Composition and Appreciation. At RGHS, students have a myriad of opportunities to learn the discipline of dance as well as perform across multiple genres and platforms. Vocational Education and Training (VET) courses are available for study by students as part of Stage 5 or the Higher School Certificate. Almost all VPSS courses lead to nationally recognised Australian Qualifications Framework (AQF) qualifications, either certificates or statements of attainment. History develops in young people an interest in and enjoyment of exploring the past. A study of History provides opportunities for examining events, people and societies . Languages other than English (LOTE) provides students with the opportunity to gain effective skills in communicating in a variety of languages, to explore the relationships between languages and English, and to develop an understanding of the cultures associated with the chosen language. 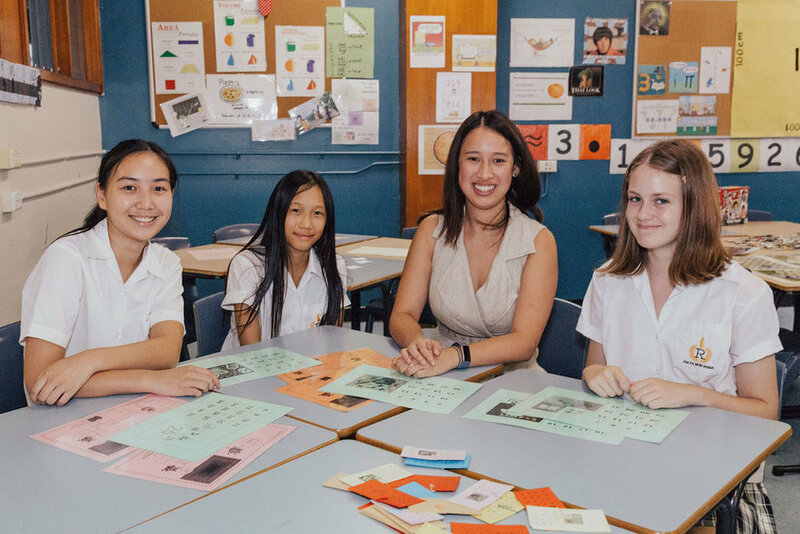 Randwick Girls High school offers students the opportunity to study French, Japanese and Chinese. Drama is a dynamic learning experience that focuses on both performance and theory. The collaborative nature of Drama engages students in a creative process of sharing, developing and presenting emotions and ideas about their world. Drama is offered as an elective subject in Years 9 through to 12.